This Demonstration shows how key signature changes as the number of sharps and flats in the treble clef is changed. 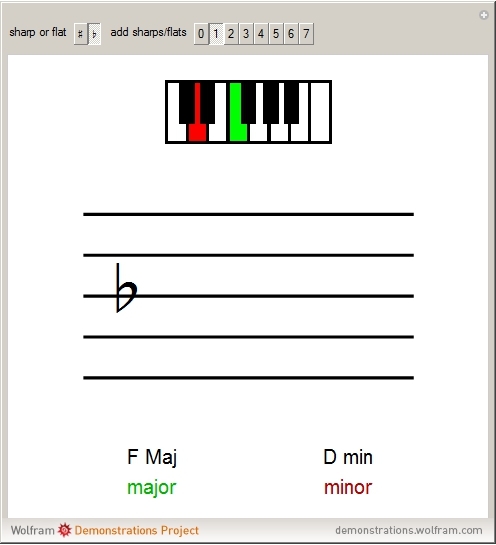 Each major key has a corresponding minor key that begins four half-steps below. 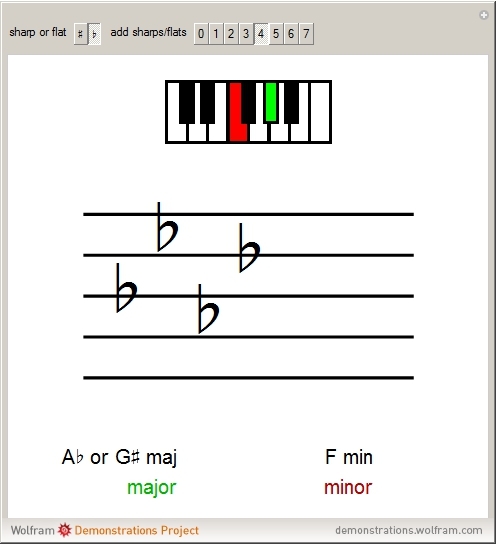 The green and red highlighted keys on the piano represent the corresponding major and minor keys of the key signature, respectively. Toggle between sharp and flat and select the number added to the key signature to see how the key changes. 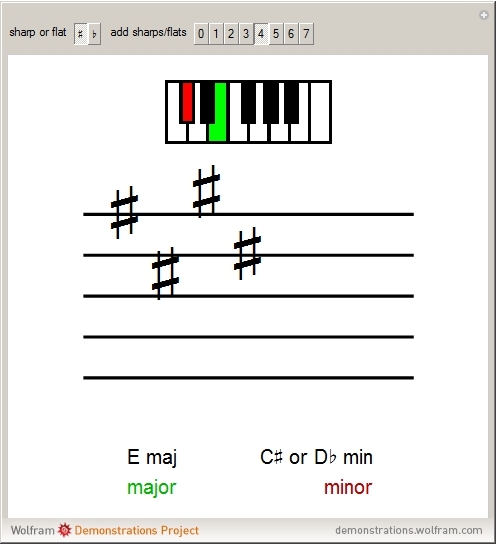 "Changes in Key Signature with Addition of Sharps or Flats"